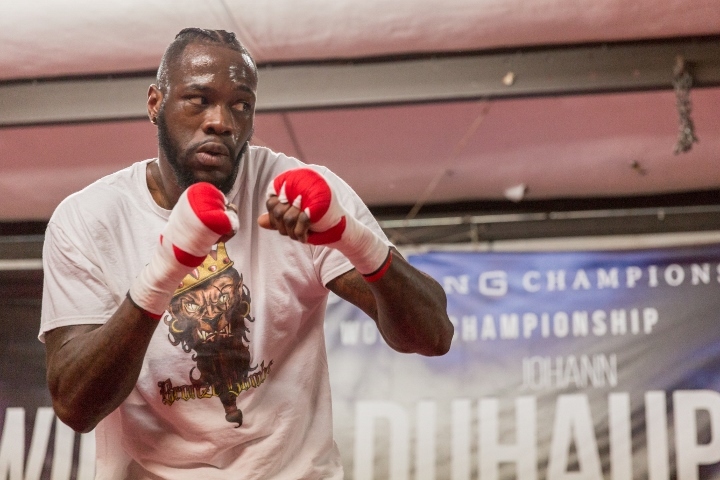 According to promoter Eddie Hearn of Matchroom Sport, WBC heavyweight champion Deontay Wilder (38-0, 37 KOs) turned down an offer of $3 million, plus the money from US television, to make a voluntary defense against Dillian Whyte (21-1, 16 KOs). Wilder is back in the ring on November 4th, when he defends his title against mandatory challenger Bermane Stiverne at the Barclays Center in Brooklyn, New York. He was originally set to fight Luis Ortiz, but the fight fell out when the Cuban puncher failed a pre-fight drug test and the WBC refused to sanction the fight. Whyte is going to return on October 28th in Cardiff, as part of the Anthony Joshua vs. Kubrat Pulev undercard. There is no opponent set, as several potential candidates have rejected the fight. Hearn is having a very hard time securing an opponent for Whyte, who in August made his United States debut on the Terence Crawford. Julius Indongo undercard in Nebraska. Hearn has fight options on Indongo. A few months ago, Hearn says he attempted to get Wilder in the ring with Whyte, but he was unable to get a deal - regardless of the money offered. The British promoter claims Wilder, for his upcoming fight, is only making half of what he could have made for Whyte. “They don’t seem to want the fight. It’s frustrating trying to get Dillian Whyte an opponent. Every fighter that we’re asking for money we are giving it to them and they’re still coming back and not accepting the fight. We’ve offered Wilder three million dollars and US TV. It’s probably four million dollars. And he’s making one and a half."